Is there a role for 64-bit ARM chips in server technology? Until recently the ARM processor wasn't the focus for server vendors; but news that Dell and others are now testing 64-bit ARM chips in their servers could herald a new era in server processing power. Server architectures such as Unix and Linux can be compiled for the ARM family of processors. While ARM as a standard within the server community is little known, the potential processing power of the chipset has not been lost on server developers. As their customers continue to demand more processing options, especially with the need to query large datasets, and moves to more in-memory computing, prototype ARM based servers have emerged. Dell has already built a prototype ARM server based on the 32-bit and 64-bit ARM chips from Calxeda and Marvel. Also available is an ARM processor from AppliedMicro that is claimed to be even more powerful than the processors from Marvel or Calxeda. ARM based servers could offer IT managers a whole new ecosystem of server platforms and provide a credible alternative to commodity servers based on the processors from AMD and Intel. Announced last October, Dell's Zinc server prototype runs the Calxeda EnergyCore ARM chip. Dell also clearly understands that ARM-based servers don't exist in isolation. Late last year it donated one of its prototype servers to the Apache Software Foundation. Forrest Norrod, Vice President and General Manager, Server Solutions, said: "With this donation, Dell is further working hand-in-hand with the community to enable development and testing of workloads for leading-edge hyperscale environments. We recognise the market potential for ARM servers, and with our experience and understanding of the market, are enabling developers with systems and access as the ARM server market matures." Clearly it is early days for the ARM based server market, but IT managers should include these platforms on their server development roadmaps. Developers have stated that hardware and software combinations will be available in 2013, but ARM is still an unknown factor with substantial amounts of testing to be done before general rollout. 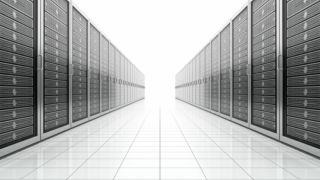 IT managers who are looking to upgrade their cloud services in the near future may well be offered ARM based platforms. However, it is expected that the first wave of ARM servers for in-house installations will become available by the end of this year. Server developers will have a number of ARM chips to choose from when building their range of ARM servers. ARM itself recently announced two new processors the Cortex-A57 and Cortex-A53 that boost virtualisation support and have better floating point performance – something that is critical if your business is using Hadoop for big data analysis. With a hunger for more processing power in smaller form factors that consume less energy, ARM based servers look inevitable. IT managers don't need to start making decisions just yet, as the technology is far from mainstream, but there is a momentum that could transform the server market over the next few years.